I’ve made a chocolate and orange blossom variation of these biscuits before and they were so popular I thought I’d experiment with another flavour. 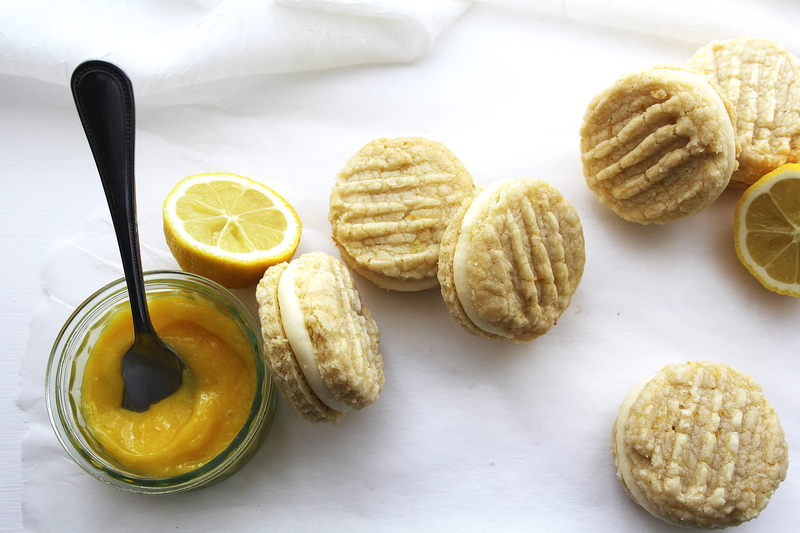 This time I’ve gone for lightly flavoured lemon biscuits (which are super crumbly and melt-in-your-mouth) sandwiched together with lemon buttercream and a really zingy lemon curd; the end result is (unsurprisingly) zesty and really delicious- give them a try. Preheat the oven to 160c. Line 2 baking trays with greaseproof paper. Cream together the butter, icing sugar and lemon zest until light and fluffy. Sift in the corn flour and plain flour then briefly mix until a dough forms (don’t over mix or you won’t achieve that melty texture you’re after in the final biscuit). Take the dough a tablespoon at a time and roll into balls. Line onto the prepared baking trays and press down with the back of a fork to create a lined texture. Chill for half an hour. While the biscuits are chilling make the lemon curd. To do this place the sugar, lemon juice, zest and butter in a heatproof bowl and set over a pan of gently simmering water. Stir occasionally, allowing the butter to melt. Once the butter has melted allow to cool slightly then add in the egg and egg yolk. Whisk together. Set the bowl back over the pan and gently mix for about 10 minutes until the heat thickens the curd. Remove from the heat and cool. Once your biscuits have chilled and are firm, bake for 10 minutes. Allow to cool on the trays. While the biscuits are cooling, make the buttercream. Whisk the butter up to lighten then gradually add the icing sugar and beat until you have a fluffy texture. Add in the lemon juice and zest then briefly whisk to combine. When the biscuits are cooled, pair them up. Pipe a ring of buttercream on one and spoon some lemon curd into the middle. Sandwich together with the other biscuit. Oh they look so good! 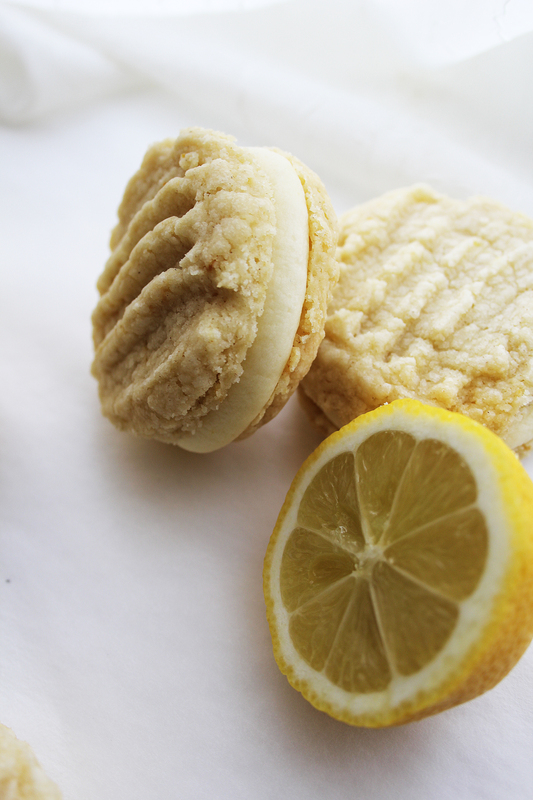 Yum, these lemon cookies look amazing!